JERUSALEM (AP) — The Israeli military says forces are in pursuit of a Palestinian assailant who shot and killed two Israelis at a West Bank factory. The military says troops are in the attacker’s hometown of Shweika, in the northern West Bank, on Tuesday. The military has named the suspect as Ashraf Na’alwa. Several Palestinians have been arrested for questioning. Sunday’s attack took place in the Barkan industrial zone, near the large Israeli settlement of Ariel, where thousands of Israelis and Palestinians work side by side. The attacker killed 28-year-old Kim Yehezkel, a mother of an infant son, and Ziv Hajbi, a 35-year-old father of three, before fleeing. Barkan has been touted as a rare example of Israeli-Palestinians coexistence. 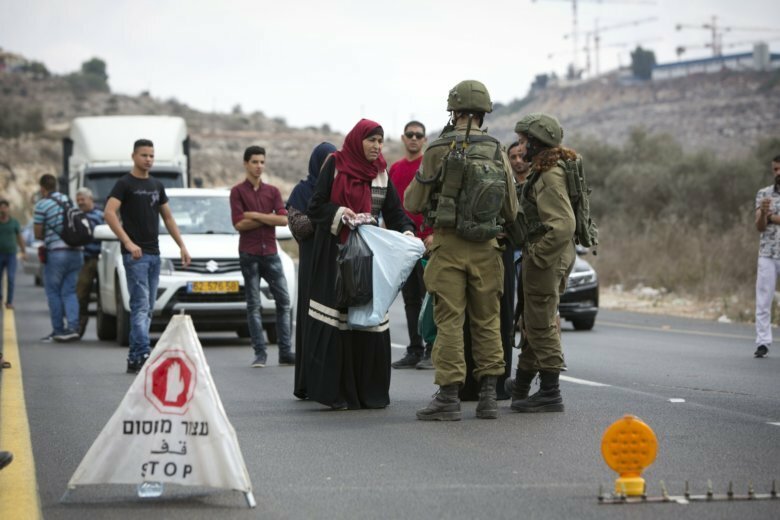 An Israeli woman also shot in the attack says a Palestinian treated her wounds.